Perfect bedding sets for adults, kids, toddler, teen girls and boys. These luxuries bed sheets stay fresh, cool during hot nights and warm in cold nights - leaving you and your family rested and ready for a new day. Extremely soft and comfortable! The Best Unconditional Lifetime Guarantee, Included For Free! Our 100% no questions asked, no hassle money back or replacement guarantee is the best in the business. Order now! 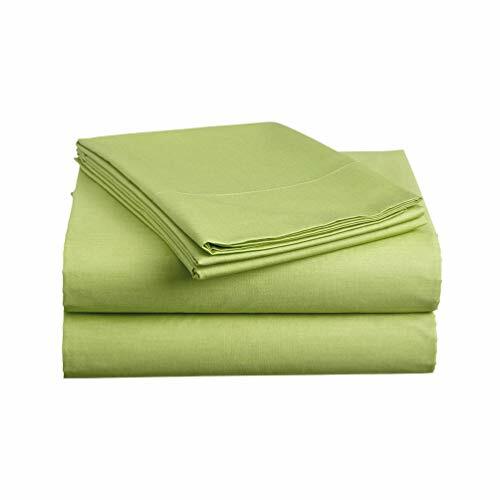 TWIN SIZE LUXURY 3pc Bed Sheets Set - 1 flat sheet 66"x96", 1 fitted sheet 39"x75", 1 pillowcase 20"x30". Deep pocket fitted sheet with elastic all around (not just the corners, like other sheets). Fits mattresses up to 14"
FEEL THE DIFFERENCE -Sleep better and wake up each morning feeling refreshed and full of energy. Silky soft, most comfortable and luxurious bed sheets you can find. Best for any room in your house - bedroom, guest room, kids room, RV, vacation home. Great gift idea for men and women, Moms and Dads, Christmas, New year. If you have any questions about this product by Luxe Bedding®, contact us by completing and submitting the form below. If you are looking for a specif part number, please include it with your message. Gilbin 100% Jersey Knit Cotton Fitted Cot Sheet For Camp Cot Mattresses 30" x 75"